CHINA: The largest offshore wind project in Asia has been completed by the China Huaneng Group in the East China Sea. The 300MW Huaneng Rudong project comprises 70 turbines with capacities of 4MW, 4.2MW and 5MW, the company said. 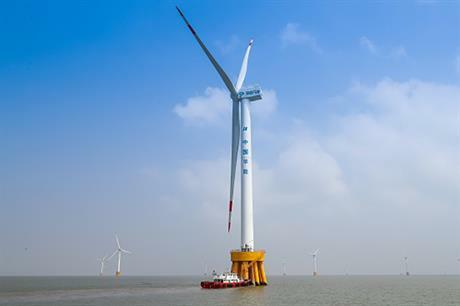 It is the first time in China a 5MW offshore wind turbine has been used in a commercial deployment, Huaneng added. The site is located roughly 14km off the city of Nantong in the Jiangsu Province. Construction of the site began in July 2015. It was the first offshore wind project for Huaneng. The addition of this project will push China's offshore wind capacity to over 1.5GW, according to Windpower Intelligence, the research and data division of Windpower Monthly.